Girl Mandy Charters came to us with a specific design, wanting only a wordpress site so that it could use the images and blog features, to display their catches. What is here is the result. 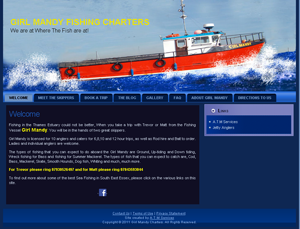 A.T.M Services was required to come up with a site to sell a Villa in Florida. The site had a gallery of the house and surrounding area and also contact detail to the estate agent in Florida. The property was a huge hit and did not take long to sell, thanks to the website. 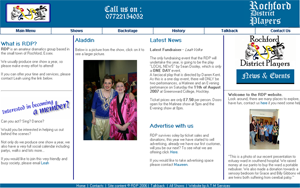 Rochford Amateur Dramatic Society, the District players; wanted a site that would allow them to add their pictures, send and recieve blogs, give advance warning of new plays and changes to the present one. Unfortunately I do beleive they anre no more. 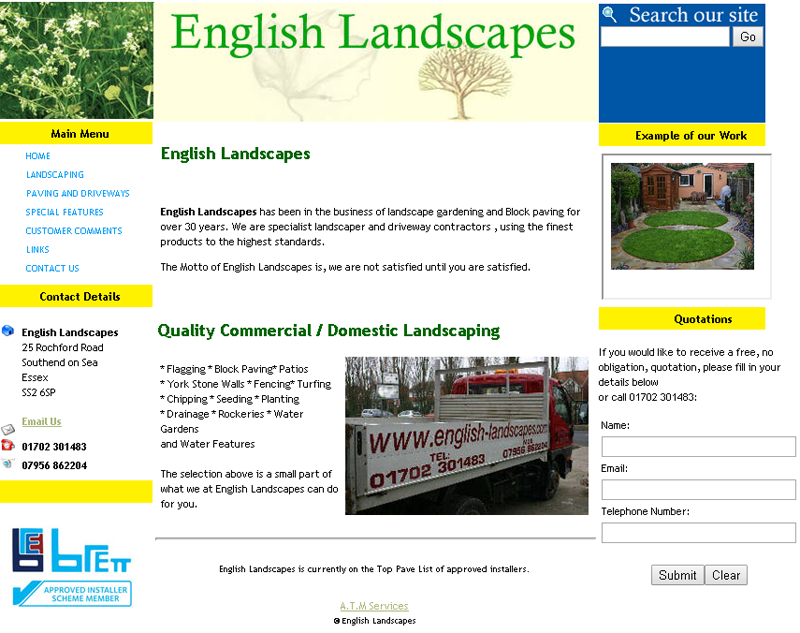 English Landscapes has been paving for a number of years. 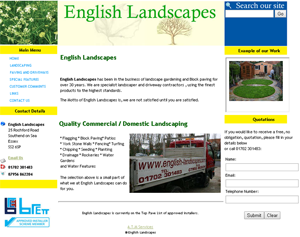 We were asked to write up a site that woould showcase their work, and act as a platform for their business.